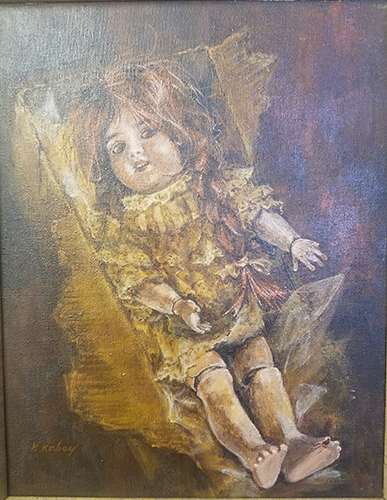 ARTIFACT: This is a wonderful 1960�s-70�s �Creepy Doll� painting by K. Korboy. 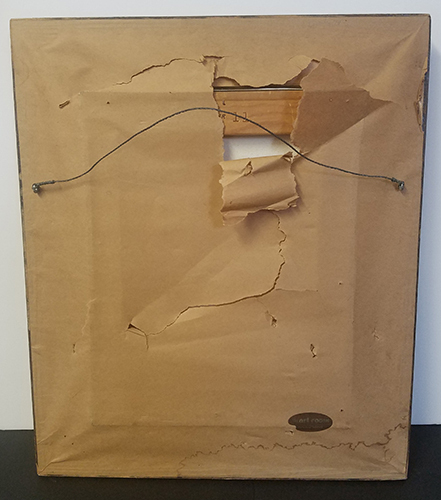 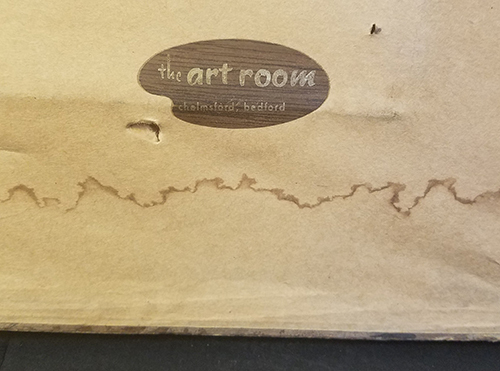 The painting Is done wonderfully on canvas, bringing a haunting look to it, with dark shades or red and brown surrounding the decrepit carboard box that the haunting doll is in. 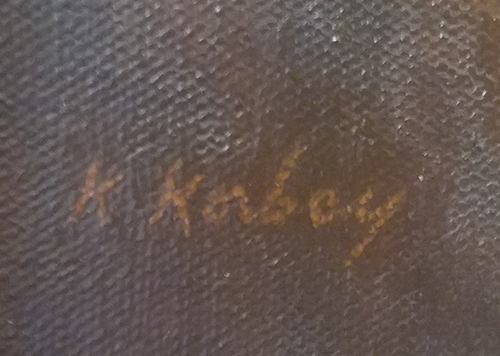 CONDITION: 8+ (Excellent): The painting itself is wonderful, but the paper on the reverse of the frame is torn.